Boris Continuum Complete 10 for Avid is our biggest release for the Avid community to date and marks the first joint development effort between Boris FX and Imagineer Systems . Explore major new features and new purchase options below. 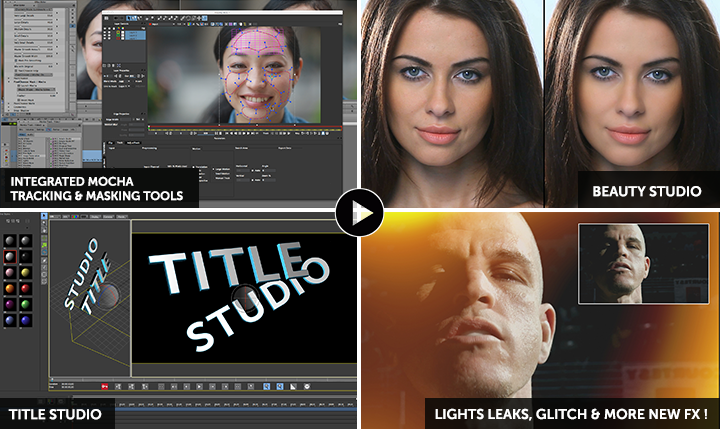 mocha 's Academy award-winning planar tracking & masking tools are now integrated into the BCC PixelChooser! Beauty Studio - A state-of-the-art skin retouching/digital makeup tool to make your talent look perfect. Title Studio - The next generation of 2D/3D titling and motion graphics tool for designing and animating at any resolution. Includes support for Maxon Cinema 4D models. "For Avid editing and high-end finishing, the integration of mocha planar tracking and masking in Continuum Complete is a game changer!" Don't use Avid? BCC 10 for Adobe, Apple and OFX are coming later this year.